You may have recently noticed a change in the appearance of your Flows. In an effort to improve the flexibility of the RapidPro Flow Engine, we’ve updated the platform to include “split” steps and allow actions to operate independent of messages. In the Settlement Resource flow pictured below, you’ll note that upon starting the flow the contact is directed to the appropriate step based on the settlement value present in their contact profile. If they’re a resident of the Ubumwe settlement, they’ll receive resource recommendations based on that location and issues pertinent to its residents. The same goes for the Batsinda settlement. If the contact’s settlement value has yet to be collected, the contact can be directed down the “other” path, where their settlement value is collected, their contact profile is updated to include that value, and they’re prompted to restart the Settlement Resource flow to be routed to the appropriate resource guide. You’ll note that the split step is gray as opposed to blue. This distinction indicates the passive nature of the splits. Any values that pass through these steps are automatically split and then passed to the appropriate step, all without waiting for a response from the user. Whereas response rules wait for a contact's response, split steps move the contact along based on a flow field, contact field, or expression. An added benefit of this update is that open-ended, multiple choice, and numeric responses can be solicited through the same input form. To collect the response solicited by a message step, simply add a “wait for response” step and designate the rule(s) you’d like to run against it. Lastly, you’ll notice that action steps may now operate independently of messages. This is illustrated in the example below, where the contact’s response is collected via the “wait for household members” response rule, updated to their “household size” contact field, and then directed to the appropriate step based on their location. To learn more about split steps, review our corresponding documentation. To try out our updated Flow Engine, sign up for a free account. New sign-ups receive 1,000 complimentary credits and unlimited access to support. To learn more, check out our Learning Center. Assessing new methods of understanding and better informing farming decisions in Kenya and Zambia, Indiana University’s Ostrom Workshop and Princeton University’s Department of Civil and Environmental Engineering recently completed a year-long SMS-based crop failure early warning system pilot in Zambia using TextIt. We spoke with Dr. Tom Evans about the project. In Kenya and Zambia, researchers are collecting real-time environmental and farming practice data for the purpose of equipping farmers with knowledge they intend to prevent crop failure and increase yearly yields. Farmers in these regions are rain-fed, meaning their yields are solely dependent on precipitation. They are on the threshold of survival. Prior to the SMS pilot, Indiana University and Princeton University have been partnering to research household-level food security in Zambia focused on rain-fed agriculturalists. In Kenya, they had been conducting water governance and irrigation management research. These projects were the seed for later work seeking to understand the kinds of decisions farmers are making and how their food security changes within a growing season. "It's the farmers on the ground who are the first to know whether their will be a problem with the harvest in a given year,” says Dr. Evans. The mobile-based pilot in Zambia developed from a desire to improve overall data quality and utility by communicating with farmers on a more frequent, consistent basis. Prior to designing and deploying their TextIt SMS application, the research team had spent previous years interviewing farmers once per year. “When this is the case, you don't have the same capacity to understand how their (farmers’) context changes within a growing season,” says Dr. Evans. The researchers piloted their TextIt SMS application during the 2013-2014 growing season with a set of 60 farmers. 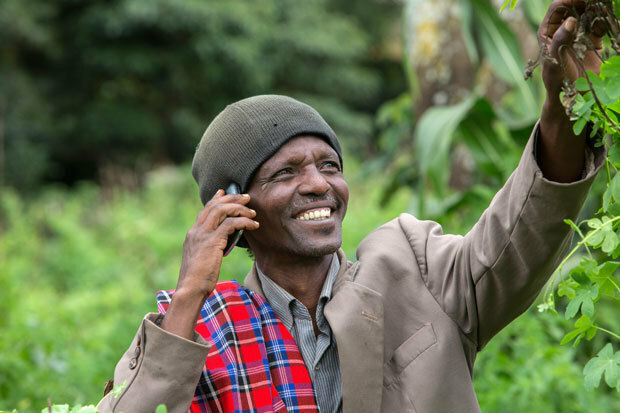 The pilot allowed them to understand the capabilities of each farmer, asking questions about the farmers’ social networks, technical limitations, and common barriers to consistent phone use. The pilot also allowed them to figure out what kind of staff infrastructure was needed to train farmers, make contact with nonrespondents, and develop their data collection approach. The research team designed and tested a set of short, simple questions that would allow them to capture how farmers were perceiving climate dynamics and how that related to their decisions on what to plant and when. That seed pilot data then fed into a proposal that received funding to support a much larger set of activities including both Kenya as well as Zambia. The researchers used TextIt’s Flow Engine to design easy to understand, conversational SMS surveys ranging from 5-10 questions divided among the 3 periods within the agricultural season: planting, growing and harvest. After multiple trainings and comprehensive field research, they chose to use English as their application’s default language. They found that most prospective users were skilled enough to answer simple, guided questions. They decided to focus on one crop, maize, to simplify farmers’ expected contribution and stabilize on a central crop to assess the agricultural season. The researchers chose to supplement the SMS surveys with traditional in-person interviews that provided more extensive information about a subset of farmers than the SMS system would allow. If a participating farmer didn’t respond to the SMS surveys, researchers would call and/or visit them to assess the barriers to that farmer’s participation. A key to their success was the time and effort spent understanding and then onboarding their end-users. At TextIt, we’ve found this essential to success. The researchers targeted a wide spectrum of farmers.To assist older and lesser-educated farmers, they focused time and resources on training younger members of the household and community to provide technical support. The training sessions were broken down into groups of 10 farmers led by 2 instructors who demonstrated the SMS application and led the farmers through each Flow, providing support and guidance along the way. They found that questions such as "Did it rain on your field this week? Yes or No?" were easier for farmers to answer than "What do you think your harvest will be at the end of the season?" For the latter question, they focused on explaining the importance of consistent reporting and the relationship between the data being reported each week and expected yield. The concept of tracking and reporting yield is entirely new to most of these farmers. The research team wasn’t able to secure a reverse-billed telephone number, so they had to get creative to ensure the participating farmers had the resources to complete the surveys. To do so, the researchers compensated farmers the cost of SMS messages plus a bonus in the form of an airtime transfer. 60% of the participating agriculturalists completed the study, providing sufficient quality and quantity of data to secure funding from the United States National Science Foundation and justify the expansion of the program both within Zambia and to Kenya, where it continues today. The research team is working with the Mpala Research Centre in Kenya and the Zambia Agriculture Research Institute (ZARI) in Zambia as critical in-country partners in the development and implementation of this research. 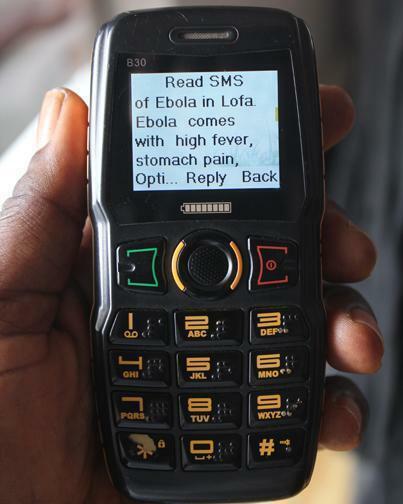 The majority of participating farmers are at the threshold of survival, so distributing airtime as compensation was critical to receiving responses. Some of the participating farmers were in considerable airtime debt, meaning that even after receiving an airtime transfer to complete the SMS surveys, they were not able to do so. Another consistent technical impediment was the ability of farmers to keep their phones charged, as they’re spending most of the day without access to a charging port. Though SMS is far and away the cheapest and most convenient method of communication, lack of airtime and access to a charging port are among the most common barriers. End-user onboarding doesn’t end when the project begins. Participating farmers were anxious to receive a return on their time investment, as they might from an aid or impact-first organization, so the researchers devoted time and resources to consistently reiterating and emphasizing the long-term importance of the program. Community sponsors, young and old, were key to the success of the pilot program. These individuals understand and support the implementation of the project and have the ability to assist their peers in participating. In the future, the researchers will be deploying physical instruments to measure a variety of environmental factors that will greatly improve the quality of data submitted in their mission to find the ideal formula for improving yields. Sign up for a TextIt account today to start building your own SMS application. In keeping with our goal of fostering development, we provide 1,000 complimentary credits to every new account, as well as country-specific guides to integrating with local carriers and international gateways. We understand that flexibility is key when deploying an SMS or IVR application, and that’s why we offer a simple prepaid model that lets you add credits to your account only as you need them. 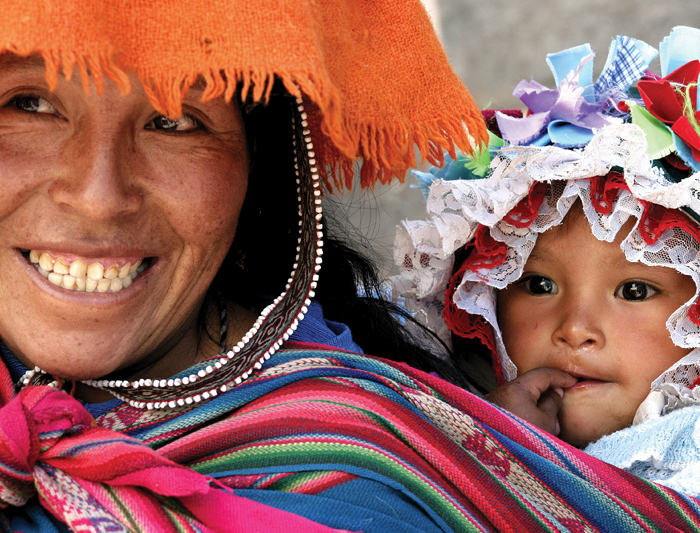 ProGobernabilidad, a Canadian Ministry of Foreign Affairs, Trade and Development initiative to empower the women and children of Northern Peru through various ICT4D approaches, recently completed a study measuring the effectiveness of a 2-year maternity health program pilot they conducted using TextIt. We spoke with e-government specialist Réjean Roy about the project. In 2012, less than 18% of the people of Lambayeque, the region in which the 6 participating medical clinics are located, had home internet access. That percentage was close to 0% in the rural areas of Lambayeque. While community members can visit cabinas to access the internet, they’re largely inaccessible. Price and lack of technical expertise are barriers to internet access in the region. As a result, less than 30% of all Peruvians living outside Lima and only 10% of Peruvians living in rural areas used the Internet in 2012. A large portion of the Peruvian population has access to basic feature phones. In Lambayeque, for example, over 85% of people live in a house where at least one person owns a mobile phone. It became clear to Réjean and his colleagues that mobile phones are the most suitable channel to deliver services electronically to the community of Lambayeque. Determined to reduce the child mortality rate and strengthen the first 1,000 days in the continuum of care for mothers and their children, the e-government team set out to pilot a maternity reminder system modeled after the Mobile Alliance for Maternal Health (MAMA) program, which has been deployed in 70 countries worldwide. 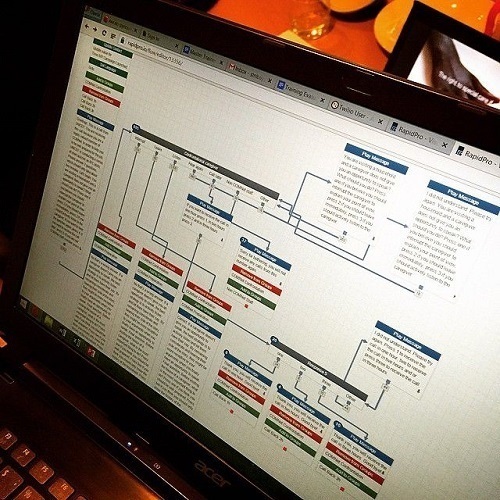 TextIt’s instinctual Flow Engine enabled Réjean to swiftly build a sample Campaign to demonstrate to the IT team in Peru. His colleagues then harnessed TextIt’s API to integrate their medical records software, allowing TextIt to submit information to and request information from their external medical records application. In November 2013, ProGobernabilidad launched its pilot program with 250 women across 6 Lambayeque clinics. “The demand is very, very strong…the mothers and their families really love it,” says Réjean. ProGobernabilidad provided a series of trainings for nurse-midwives and pregnant women and their companions on the functionality of the SMS system they built with TextIt. In addition, they extended recruiting responsibilities to nurse-midwives and doctors. At TextIt, we refer to this as end-user onboarding. This is important. If end-users don’t understand how to interact with your application, or how and why interacting with your application benefits them, they’re less likely to respond correctly and complete your Flows. End-user onboarding can be time-intensive and require patience. It took ProGobernabilidad nearly a year to sensitize and capacitate pregnant women to use their TextIt SMS system. ProGobernabilidad conducted a pilot study to assess the effectiveness of the program. Pregnant women who participated in the program attended a greater number of prenatal checkups at the end of the 16th week of receiving the messages. Pregnant women who participated in the program had higher chances of having an institutional delivery at the end of the program. Mothers who participated in the program reported more consistent breastfeeding at the end of the 16th week. Nurse-midwives revealed that the program improved their capacity to counsel the pregnant women. Nurse-midwives interviewed for the pilot study suggested that more focus be placed on training pregnant women and their companions to be successful with the program so that they might offer their testimonials and disseminate the system within their community. They also suggested that ProGobernabilidad advertise the program with posters, billboards and flyers. The study failed to secure follow-up interviews with the majority of mothers who had graduated from the maternity health program, as the phone numbers were either disconnected or the mothers had changed carriers. In economically underdeveloped regions, users are more likely to jump from carrier to carrier to take advantage of deals. It’s advisable to account for this behavior when designing your TextIt SMS application and the program in which it will be implemented. One of ProGobernabilidad’s long-term goals is to demonstrate to the government of Peru that providing services via mobile phones is a mutually beneficial endeavor. On the heels of a successful pilot, ProGobernabilidad is preparing to expand their presence from 6 clinics to more than 20 by including the Tumbes and La Libertad regions. We recently spoke with Lawrence Omondi, Office Manager at Access Afya, about his experience using TextIt as a means of supporting clients and building meaningful relationships. 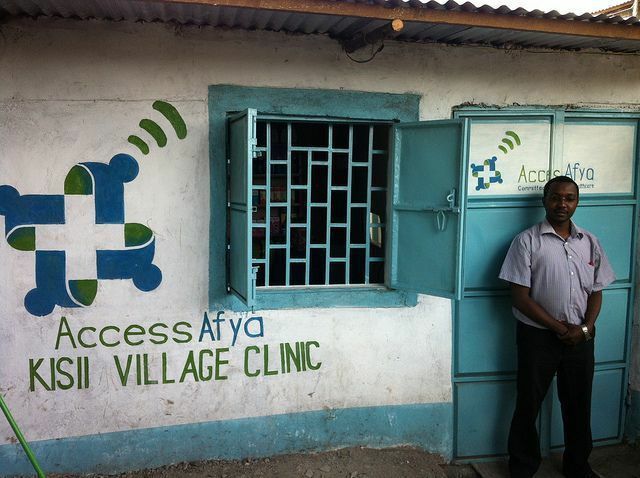 Access Afya is a sustainable social enterprise that runs a chain of affordable microclinics in Mukuru, an informal settlement in Nairobi, Kenya, that provides low-cost, quality healthcare to the local community. 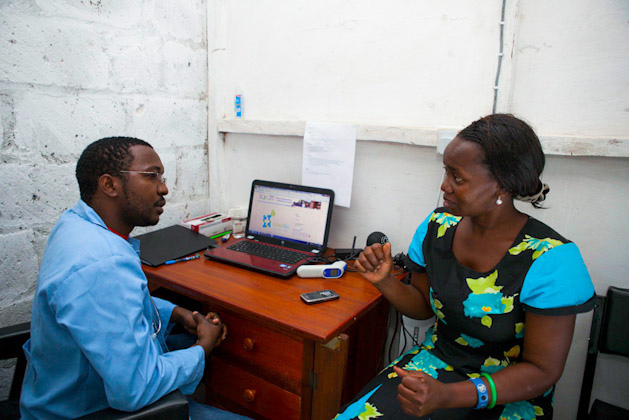 Access Afya uses text messaging to send appointment reminders, follow-up with patients post-appointment, and keep them informed on the importance of healthy living. “100% of our clients are able to provide us with a mobile phone number on which to contact them, whether because they own the phone individually or because each family has at least one phone. How have you integrated TextIt into Access Afya’s workflow? "TextIt has allowed us to create an open, personal and friendly relationship with the communities we work in, providing easy access as well as the confidence to approach us. Patients associate our brand with the quality service, care, and attentiveness our clinicians provide. Textit has enabled us to develop an ‘offline’ relationship with our patients for the times that we are not interacting with them in person. This individual, personalized relationship extends to the emotional and physical well being of a patient, their family, and other community members. Textit has enabled us to form a bond with our patients that gets stronger each time we see a new client in one of our clinics and are able to follow up with them via text message." Which feature has helped Access Afya the most? "The ability to group clients. We have created different client groups within Textit, categorized according to their geography, age, demographic and the Access Afya program they are enrolled in. We use these groups to communicate with our patient base in a more strategic manner, and most frequently our communication with them involves sending the relevant groups health messages and inform them about Access Afya community engagement events or bundles that we are providing. We also value the ability to create a message Flow. This enables us to provide continuity, build relationships and collect data to understand the needs of our patients over time (given that our text messages to them and their responses are saved on the same thread). This enables us to collect useful information from our patients and draw on trends to improve our service delivery." TextIt puts you in the pocket of your target user with more reliability than email or social media. Using TextIt, you can take advantage of increasing mobile phone ownership rates and communicate more directly with your client or patient. Sign up for a TextIt account today to build your own SMS or IVR application, no programming experience required. We provide 1,000 complimentary credits to every new account, as well as country-specific guides to integrating with local carriers and international gateways. Here’s a story from the field spotlighting a RapidPro implementation in Liberia that we proudly maintain for UNICEF and the mHero initiative. As we’ve discussed before, RapidPro is the Open Source software platform that powers TextIt. We recently spoke with Sean Blaschke of UNICEF and Amanda Puckett of IntraHealth about the groundbreaking Health Worker Electronic Response and Outreach (mHero) program for Ebola response in Liberia. Sean, Health Systems Strengthening Coordinator for UNICEF Uganda, and Amanda, IntraHealth International’s technical advisor for human resources for health, played key roles in the development and deployment of mHero, a suite of applications that relies on RapidPro for communication. Other components include iHRIS (IntraHealth’s health workforce information software), DHIS 2 (a web-based open-source information system) and the mHero Sync Coordinator (mSync). Improved coordination among the Ministry of Health, Social Welfare and remote health facilities. Real-time monitoring, complex surveys and detailed analysis can be conducted with ease. What’s more, IVR allows healthcare organizations to deliver knowledge with higher content limits and no literacy requirement in any spoken language. 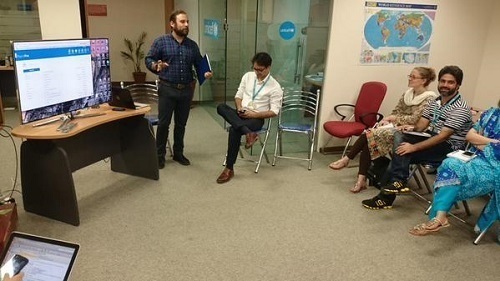 Our last article highlights a UNICEF RapidPro deployment in Pakistan that leverages IVR to educate social mobilizers about Polio. The mHero team made it a point to train health workers and MoH staff to build Flows using RapidPro, and they took well to it. The idea, Sean pointed out, is to implement the system and let countries define their own use cases. Health workers are the best candidates to design communication systems for health workers. This approach has been successful thus far, as over 75% of workers have completed the surveys. The ability to quickly and easily setup a RapidPro demo environment using an Android Relayer and the intuitive dashboard and Flow Engine allow for a seamless user onboarding process. “RapidPro is very simple to use, regardless of learning method,” says Sean.